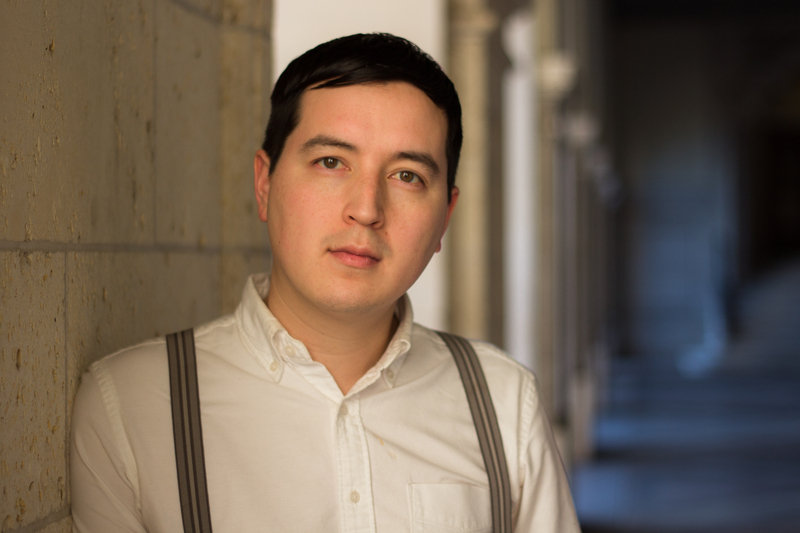 This reading group guide for The Steady Running of the Hour includes an introduction, discussion questions, ideas for enhancing your book club, and a Q&A with author Justin Go. The suggested questions are intended to help your reading group find new and interesting angles and topics for your discussion. We hope that these ideas will enrich your conversation and increase your enjoyment of the book. Just after graduating college and at loose ends in San Francisco, Tristan Campbell receives a letter delivered by special courier. It contains the phone number of a Mr. J. F. Prichard of Twyning & Hooper, Solicitors, in London—and news that could change Tristan’s life forever. In 1924, Prichard explains, an English alpinist named Ashley Walsingham died attempting to summit Mount Everest, leaving his fortune to his former lover, Imogen Soames-Andersson. But the estate was never claimed. Information has recently surfaced suggesting Tristan may be the rightful heir, but unless he can find documented evidence, the fortune will be divided among charitable beneficiaries in less than two months. In a breathless race through Europe, Tristan pieces together the story of a forbidden affair set against the tumult of the First World War and the pioneer British expeditions to Mount Everest, and he becomes obsessed with the tragic lovers in the process. Part love story, part historical tour de force, The Steady Running of the Hour is a heartrending and utterly compelling debut that announces the arrival of a stunningly talented author. 1. The novel’s title is taken from a line in the epigraph that begins the novel. How does the epigraph, from “Strange Meeting,” relate both to Tristan’s quest and Ashley’s life? Why do you think Justin Go chose to title his novel The Steady Running of the Hour? 2. Of Imogen and Ashley, Geoffrey Khan says, “These were not people like you and me.” What does he mean? What were your first impressions of both Ashley and Imogen? Did any of their actions surprise you as you learned more of their love story? Which ones, and why? 3. Tristan recounts how his half brother, Adam, told him, “I always ask for advice so I can worry about it. Then I go and do the thing I was going to do anyway, because knowing it’s a bad idea never stopped me.” Do you agree with Adam’s assessment of Tristan? Give examples from the book that support your opinion. Why do you think Tristan chooses to share Adam’s words with Mireille? 4. Describe the trust that Tristan stands to inherit. How was it set up, and why? Why do you think Prichard is so invested in having Tristan inherit Ashley’s estate? 5. Ashley tells Imogen that he joined the army because “I was bored at Cambridge. . . . And I was fool enough to worry I’d miss something if I kept out of the war.” Compare Ashley’s ideas of war with the realities he faces in the trenches. Describe his wartime experiences. Do they change him? If so, how? 6. Mireille says that “even love can sometimes be a mistake, and that perhaps this vanished love of Ashley and Imogen’s had been a wasted one.” Do you agree with Mireille about Ashley and Imogen’s relationship? Do you think they loved each other? Why or why not? Describe the nature of their love. 7. As Tristan delves more deeply into Ashley and Imogen’s history, his reaction to Ashley’s estate changes. How does it change? What accounts for the alteration in his feelings toward it? Why do you think Imogen never claimed Ashley’s estate, despite being named heir? 8. Eleanor criticizes Imogen for “turning away from ordinary choices,” saying, “If someone expects something from you, you can’t bear to give it to them.” Is Eleanor right about Imogen’s character? In what ways has Imogen turned away from “ordinary choices,” and what have the results been? Compare the two sisters. How are they different? 9. When a hotel clerk mistakenly thinks Imogen and Ashley are married, she’s displeased because “it’s just not how I want to think of us.” Contrast Imogen’s attitude toward marriage with Ashley’s. She believes that “one oughtn’t give names to what two people are to one another. It only makes it harder to be one’s self.” Do you agree with her? Why or why not? 10. When Tristan speaks of his plan to leave France and go to Berlin, Mireille is critical of him: “You don’t understand what’s going on around you.” In what ways do his experiences change him, and are they for the better? Why do you think Mireille reacts so strongly to the plan? Is she justified in her criticisms of Tristan? Why or why not? What are some of Tristan’s aspects that Mireille disapproves of? 11. While Imogen is in Sweden, she wonders if she and Ashley had “truly made choices, or had they given in to forces they felt too weak to resist?” What do you think? Did they have choices with regard to their love affair? Both Imogen’s relationship with Ashley and Tristan’s with Mireille unfold over the course of only a few days. Compare and contrast the two relationships. In what ways, if any, are the two relationships alike? 12. After the war, Ashley tells Eleanor that he won’t give up trying to find Imogen. She replies, “You are giving something up. . . . You just don’t realize it.” Is she correct? What is Ashley giving up by continuing to search for Imogen? Why do you think he persists? 13. Book 3 begins with an epigraph that, in part, reads, “If you are a brave man you will do nothing: if you are fearful you may do much, for none but cowards have need to prove their bravery.” Discuss instances of bravery that occur in The Steady Running of the Hour. Do you think that Imogen is brave for the way she handles her relationship with Ashley? Why or why not? 14. Duties figure prominently throughout The Steady Running of the Hour. When Imogen asks Ashley to leave the army, he tells her he cannot, because, he says, “I’ve a duty.” Do you agree with his decision to “see this through”? Why or why not? Does Imogen have any responsibilities toward Ashley? What are they? What duties does Tristan have toward Ashley’s estate, if any? Ashley Walsingham died in an attempt to summit Mount Everest. Learn more about Mount Everest here, http://www.history.com/news/7-things-you-should-know-about-mount-everest, and also here: http://en.wikipedia.org/wiki/Mount_Everest. Ashley believes that “it is climbing that makes one feel.” What does he mean? Talk about your passions with your book club. What do you do to make yourself “feel”? Tristan’s quest takes him from London to the Somme battlefields and onward to the Eastfjords of Iceland and beyond. Describe the cities that Tristan finds himself in. What would you do in each? 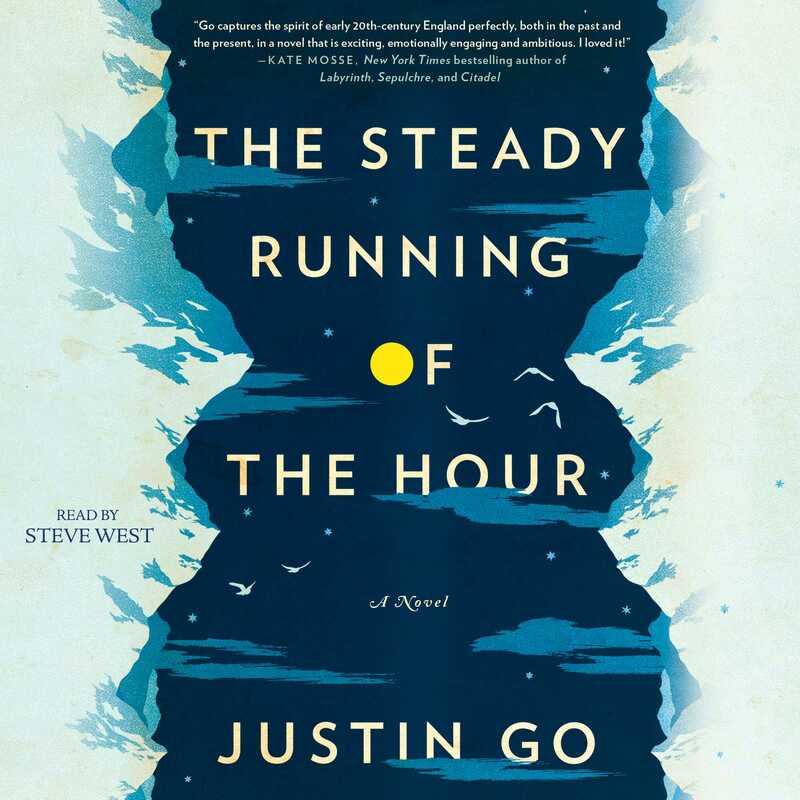 To learn more about Justin Go, and more about the journeys and research he undertook to write The Steady Running of the Hour, visit his official site at http://www.justingakutogo.com. The Steady Running of the Hour is your first novel. What’s been the most rewarding part of the experience of publishing your book? Was there anything that surprised you about the publication process? It’s incredible just to see the book coming out. I worked on it for seven years, but even in the better periods I had grave doubts about the whole endeavor. When I finally learned the book was going to be published, I felt relieved simply to know I hadn’t been crazy all along. You give so much of your life to something like this, but you can’t count on getting anything back, not from the world at least. It meant everything just to be able to call myself a writer. What I find remarkable about publishing is what a long and careful process it is. It’s almost like raising a child. When you’re waiting for your first book to appear, it can be painfully slow, but the exactitude is what makes it special. In a world where much of what we read was completed within minutes or hours, there’s something unique about books. There are more than a hundred thousand words in my novel. I can tell you I looked pretty hard at every single one of them, and other people did too. As a debut novelist, do you have any advice for aspiring writers? Now that you’ve published your first book, do you wish you had done anything differently? I think any aspiring writer should first decide if he or she really needs to do this. Writing novels is probably the longest and most unlikely path you could take toward fame, fortune or even happiness. But if you must write, put everything into finishing that first draft. Be fearless, if only for an hour or two each morning. Until I started writing, I didn’t realize how much fear had kept me from the life I wanted. I was afraid to write badly, so I didn’t write. I was afraid to be alone, so I didn’t move abroad. Eventually I realized that the only thing that guarantees failure is never trying. If you aren’t willing to take risks and sometimes write badly, you’ll never discover what you can do. The miracle of fiction isn’t producing an adequate chapter that fits into your plot. It’s pulling out something from inside you that you didn’t know existed. The trick is to keep reaching for that, morning after morning. Looking back, I wish I hadn’t doubted myself so often. A writer, especially a beginner, should be humble and always trying to learn. But it’s awful to stand on the brink of giving up. If you’re brave enough to write a book, be proud of yourself and keep going. Like Tristan, you dropped everything to go on a European adventure, quitting your job and moving to Berlin. What motivated you to move to that city? How did you prepare for the transatlantic move? I lived in Europe on and off after college, but eventually I wound up working at a law firm in New York. It was a good job and I loved living near my friends. But I felt unsatisfied. I wanted more to my life than an office job, and I felt I had something to give, but I didn’t know where to put it. I started working on the book. I’d tried writing fiction before, but after I developed this story it became more serious. I wrote nights and on weekends. Gradually I realized the book was the one thing I was doing that I really cared about. A few years before this, I’d stopped in Berlin for a few days, and I’d been fascinated by it ever after. It was unlike anywhere I’d been in Europe—a vast capital full of unpredictable spaces. When you went out in Berlin, you never knew where the night would take you. I thought it would be the perfect place to write a book. So I saved as much money as I could and quit my job. I left for Berlin with a plot outline, a few rough scenes and three suitcases full of research books. Even once I was on the plane I couldn’t believe I was really doing it. In The Steady Running of the Hour the action alternates from World War I to present day. Why did you chose to structure the novel with alternating chapters? Was it difficult to change time frames while you were writing? Or did you write each time frame all at once? I alternated the chapters because I wanted both stories to progress at the same time, and I didn’t want the past to feel too “historical.” And I wanted them both in the present tense, to have the same immediacy. A big question in the book is whether Tristan’s life—or anything in our contemporary lives—can measure up to this epic notion of history, the Great War or the Battle of the Somme. But people don’t think about history while it’s happening. It’s personal mythologies that matter, the stories that Ashley tells himself about Imogen for seven years, or the way that Tristan feels about Ashley and Imogen. I didn’t write the book in chronological order. I just wrote scenes when I felt ready. The Everest and war chapters were written last, because I wanted to research as much as possible before writing. I felt so much pressure to get the historical chapters right that it was a relief to write Tristan’s chapters, because I could relax a bit and rely more on firsthand experience. Anton DiSclafani called The Steady Running of the Hour “an astonishingly vast, meticulously plotted, and beautifully told novel.” There are so many twists and turns throughout Tristan’s quest: can you tell us how you were able to plot them out so precisely? Did you know how Tristan’s search would end when you began writing? When I started the book I plotted it carefully. I probably made ten outlines in ten different notebooks. I felt everything had to unfold in a very particular way. But of course I made mistakes, or characters or events changed and I had to replot things. As the writing went on, I realized that knowing what happens is just the beginning. Next you have to figure out how things will happen, where they will occur among the alternating story lines, which characters will know about them and how they will find out. The infinite permutations are enough to give you a headache. Eventually you have to just follow your instinct. I always had an image of where Tristan’s search would end. I’d gone hitchhiking in Iceland and I remembered a particular fjord, where I got dropped off and no more cars came. I lay down on a black sand beach and instantly fell asleep, as if I was meant to have some kind of vision. It felt like the end point of the long trip I’d taken across Europe, a destination I’d arrived at without knowing I’d been traveling toward a destination. I knew I wanted Tristan to end there. But what it actually meant for him to reach that fjord—the meaning of that developed as his story grew. When talking about his research Tristan says, “All I need is one good piece of evidence, and I keep getting sidetracked. It’s hard because . . . every time I got sidetracked I found the best stuff.” How did you conduct your research for the novel? Do Tristan’s research methods mirror your own? At the beginning I read very broadly. I got to Berlin with thick surveys of the Great War and Everest and Edwardian Britain. But eventually I realized that specific knowledge was far more useful than historical overviews. I didn’t need to know everything about Franz Ferdinand or British Imperial policy toward Tibet. What I really needed was to know what it felt like to be there. So I became obsessed with figuring out what the streetlights looked like in London in the summer of 1916, or what kind of dishes you could get in a good hotel, or what the mud felt like in the Somme that November. A lot of that research was similar to Tristan’s. But he never worries about the thing that I found the hardest, which is getting inside a culture. It’s one thing to be correct with superficial details. But to be true to an entire vanished civilization—the way different people talked or acted, what they cared about, what they shared and what they kept to themselves—it’s nearly hopeless. The closest you can get is reading what these people left behind, their letters or diaries or memoirs. So I read as much as I could, until I felt neck deep in their world. No amount of research ever felt sufficient. But at some point I just had to close my eyes and imagine. As Tristan researches more about Ashley and Imogen, he is often surprised. Did anything surprise you when you were conducting your own research for the book? If so, what? I was surprised nearly every day. And if I wasn’t surprised, I’d feel like I wasn’t learning enough. It’s the surprising things that shift your view of a period, or give you details that later become important. I’d be trying to figure out how long it took to send a letter from the Somme to London, and I would read something unexpected about codes in soldiers’ letters. Often I barely noticed these things when I first read them, but they stayed inside me and came out later. The best surprise was writing something from my imagination, then finding it mirrored an archive later, in a document I’d never seen before. It was usually trivial things—I’d imagine Imogen knitting an afghan, or Ashley writing a telegram about Poste Restante letters, or Eleanor ordering certain pigments from Paris. Then I’d read a letter mentioning knitting an afghan all night or Prussian blue pigments or Poste Restante letters. It felt like a small miracle every time it happened. I hadn’t done anything special, of course. I’d simply seen a detail elsewhere and it had entered my picture of the period, so I had put it in the novel. But it felt good to be vindicated. Eventually the line dividing truth from fiction began to blur. I was going to the same places as Tristan and looking up the same things, and occasionally finding results similar to what I’d imagined Tristan finding. Sometimes the sense of unreality was so strong that I had to remind myself that the letters I was holding were real, that they had been written by real people who had held those pages at the Somme or on Everest. After dealing with so much fiction, the reality of history seemed too much to believe. But it was true. The climbing sections of the novel are particularly vivid. Did you rely on books or other research to get a sense of what an Everest expedition might be like? Everest has a wonderfully vast literature—a mythology of its own—but it can be overwhelming. I studied every relevant book I could find, but also photographs, maps, films, newspapers, climbing manuals, everything under the sun. It kept me busy for years. The 1920s expeditions left behind detailed records in the Geographical Society and the Alpine Club in London. There I was able to see things like climber’s diaries and detailed equipment lists, as well as many letters. But I most wanted to understand what it felt like to be up there in a tent in a blizzard, or traversing stone slabs in nailed boots. The official expedition books were fairly dry, but fortunately the memoirs of climbers from the 1920s and 1930s expeditions were often vivid. I also read more recent climbing books, because although the equipment and techniques have changed, the sensations of cold or altitude are largely the same. Eventually I went to Everest myself, traveling through Tibet to the base camp. It was an incredibly hostile environment—even more cold and dry and windy than I’d imagined. But the mountain was hypnotizing. I could have stared at it for days. Finally I understood the magnetism of it, the reason that men like Mallory kept coming back. Once you’ve seen Everest, you’ll never forget it. Your characters are so well fleshed out, they feel like people that your readers should know. Were they based on anyone in the historical record? How did you come up with them? History was always the starting point. Ashley is a climber and Imogen is from a very specific background, so I began by imagining the world they would have come out of, the kinds of people they might have known. The best way into this was looking at real people. Eleanor and Imogen seem to have been influenced by Virginia Woolf and her sister Vanessa Bell, the painter, but I didn’t do that deliberately. Eventually it just creeps in. In the same way, you couldn’t imagine a character like Ashley without the examples of the original Everest climbers, particularly George Mallory. He was such a magnetic spirit that you get the idea that all the Everest climbers were men of great artistic and intellectual passion. But they were actually quite different. I tried to get to know all kinds of climbers from the period to broaden the foundation for Ashley’s character. But no matter what your inspiration, characters ultimately just need to feel human. I might decide that Imogen loved Nijinsky’s dancing or Laforgue’s poetry, or that Ashley was an advocate of guideless climbing. But what really defined Imogen was her passion, a kind of emotional conviction I’d witnessed in certain people in my own life. In Ashley’s case, I began to understand him through his humor, a gallows humor I’d often seen in books and letters from the war. I thought Ashley’s humor might conceal what he really cared about. So you start with history, but ultimately the characters grow from what you believe about people. And your imagination. What would you like your readers to take away from Tristan’s quest? The beauty of literature is that everyone can take away something different. I see fiction as a kind of mirror to the world—a human reflection, not a factual one—and I don’t think novels should have a single meaning any more than life does. I try to tell a story without telling the reader how to feel about the story. The hope is that if you place readers close enough—until they’re experiencing what’s happening before them—they’ll have their own emotions, richer and more individual than anything a writer could impose. But of course, I have my own feelings about Tristan’s quest. I spent a lot of my twenties chasing after some grand ideas I’d got in my head. I wanted to see everything, to experience everything. That gave me certain ambitions, but it also made me unhappy, because I was never really satisfied with what was around me. Tristan is caught between his ideas and his reality. When he starts learning about Ashley and Imogen, everything in his own life seems trivial by comparison. But as time goes on, I think Tristan understands that what draws him to Ashley and Imogen isn’t some grand historical legacy, but that both of them craved something greater in their lives and were willing to fight for it. That’s what Tristan wants—to know what matters and go after it. In the end, I think he does that. He has to turn away from the past and that’s hard for him. But ultimately he chooses his own life. Can you tell us anything about the novel you’re working on now? It’s set in Europe between the wars, so it pretty much picks up where this book ends. I find the 1920s and 1930s to be the most fascinating period. There was so much political turmoil and at the same time such remarkable artistic achievement. I’ve been making these huge timelines and the backdrop is astonishing—the publication of Ulysses and The Wasteland in 1922, the German hyperinflation, American expats flooding the Paris Left Bank, the Nazis and Communists battling in the streets of Berlin, another world war looming. But that’s just the setting. What interests me are the human relationships within all this—what they were like, not only around the centers of power but on the fringes of empires, in the remote corners of deserts or mountains. It’s a big story, so eventually I’m going to have to whittle it down to what works best. I’d promised myself I wouldn’t do another historical book, because it’s so demanding. But I think the need to anchor things to research also anchors them to the real world, and that’s a good thing. I’m trying to get as immersed as I can, as close as possible to experiencing the things I’m writing about. And I’m continually inspired by the people whose books or letters I read—not because they teach me about history, but because they teach me about being human. Maybe one day I’ll give up on the past and write about other things. But not yet.